His work ethic was just one of the reasons his employees nominated him. His employees also admire him for his selfless attitude. Gary has compassion for his employees that goes beyond work hours. His employees said that he cares about what’s happening with them outside of work as well. Three company meetings are held each week, two for sales and one for production. The meetings encourage teamwork plus, they are used to reward employees. If employees hit their numbers, they receive a cash bonus. There are also monthly sales incentives where employees have the opportunity to have lunch with Gary, and he buys. Gary has also treated his production team to new work boots and taken groups to hockey games and deep sea fishing in Destin, Fla.
“One of my strengths is being very persistent, not giving up, persevering,” Gary said. “Whatever you do, do your best.” He also admitted his weakness could be that he’s not as patient as he should be in times of adversity. But that didn’t seem to slow down his goals for the company. 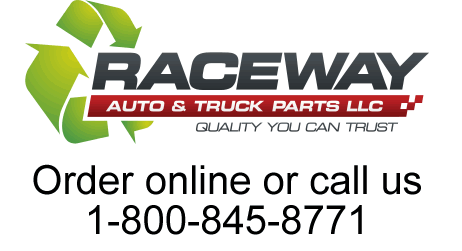 Raceway Auto & Truck Parts is a full-service auto recycling facility that was started by Gary’s father, Bobby Coln, in 1986. The business began as a body shop and later sold used auto parts. Gary joined the company in 1988 and in 2012, became sole owner. Bobby stayed on part-time as a delivery driver, but spends a lot of time traveling to antique car shows, said Gary. “After the acquisition of Raceway Auto & Truck Parts in January 2012, we have quadrupled our monthly sales, purchased an additional 22 acres of land to store more cars, added a shipping department and a new parts-cleaning wash bay, which has allowed us to keep our high-quality parts,” listed Gary. The company’s offices were also expanded and remodeled and a fourth salesperson was hired. The company is also a member of ARA and the United Recyclers Group (URG) and is URG 8000 certified. Gary has no plans to slow down in the future. He has already set a goal to increase sales by 1.2 million, $6,000,000.00 a year, for the next two years. He wants to continue to take care of his customers by delivering high-quality parts, build relationships with new businesses and make friends in the industry. A third generation could be poised to take over the company. Gary and his wife, Amy, have two teenage boys, Parker and Sam. “We would love to train them as third-generation owners,” he said. Locator UpFront’s Boss of the Year Gary Coln with his employees at Raceway Auto & Truck Parts, LLC in Savannah, Tenn.